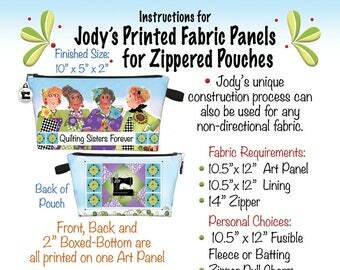 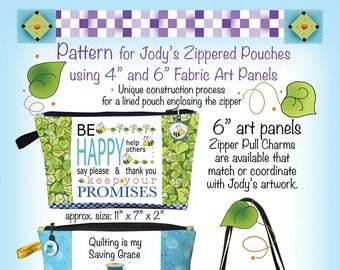 This pouch is made with Jody's newest fabric collection from www.HenryGlassFabrics.com. 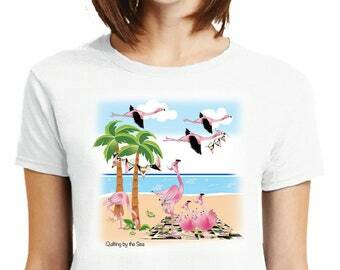 The title is KNIT CHICKS! 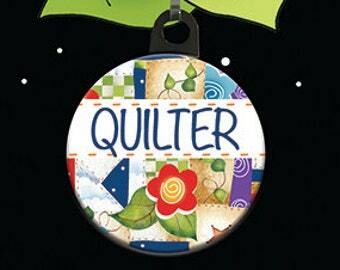 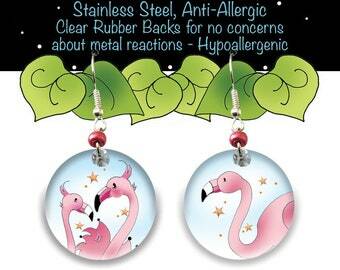 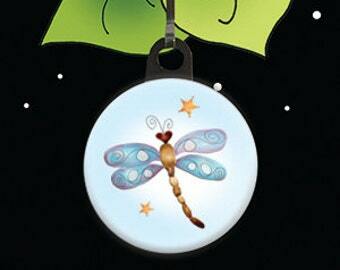 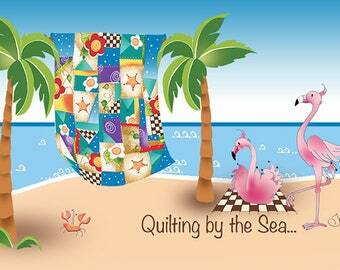 Please visit their website to see the entire collection and to see if your local quilt shop has purchased the line. 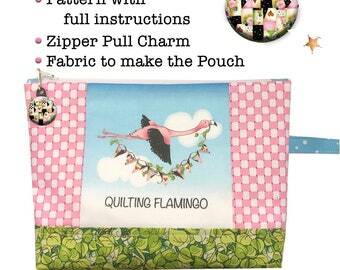 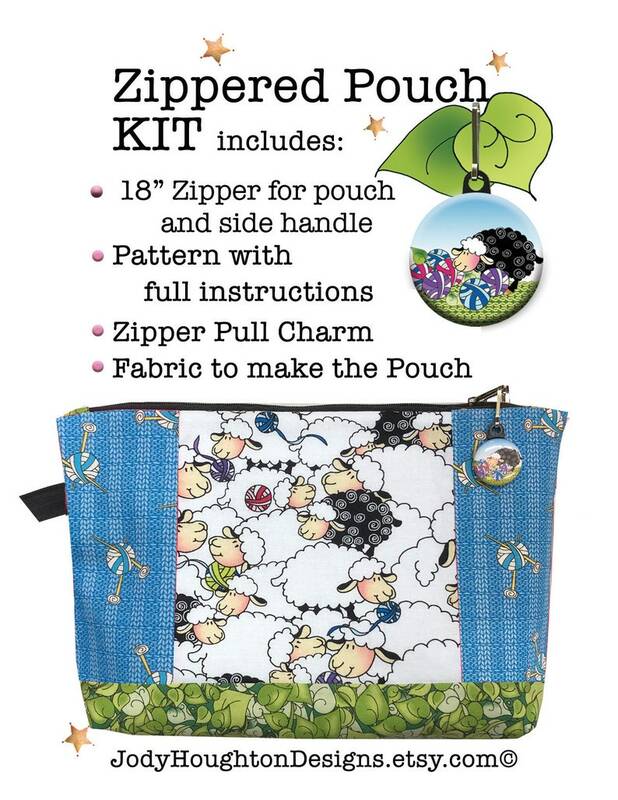 This kit included everything you need to make the pouch, except batting which is a personal choice. 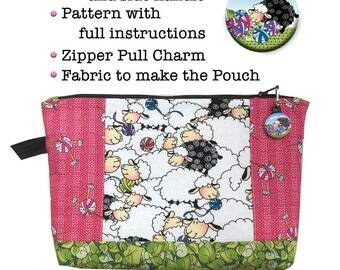 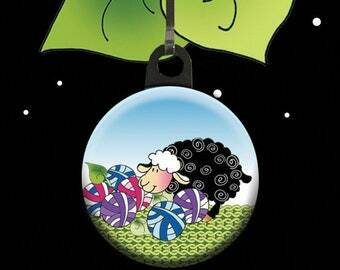 Easy to read pattern with illustrations, an 18" zipper to use in the pouch and for a side loop handle, the cute lamb zipper charm designed especially for this collection, and of course the fabric to make the pouch. 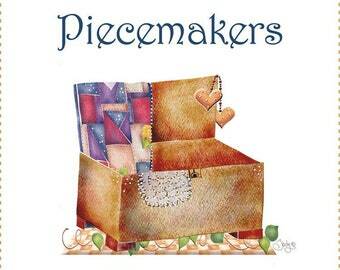 Piecemakers Fabric Art Panel - 5" x 10"